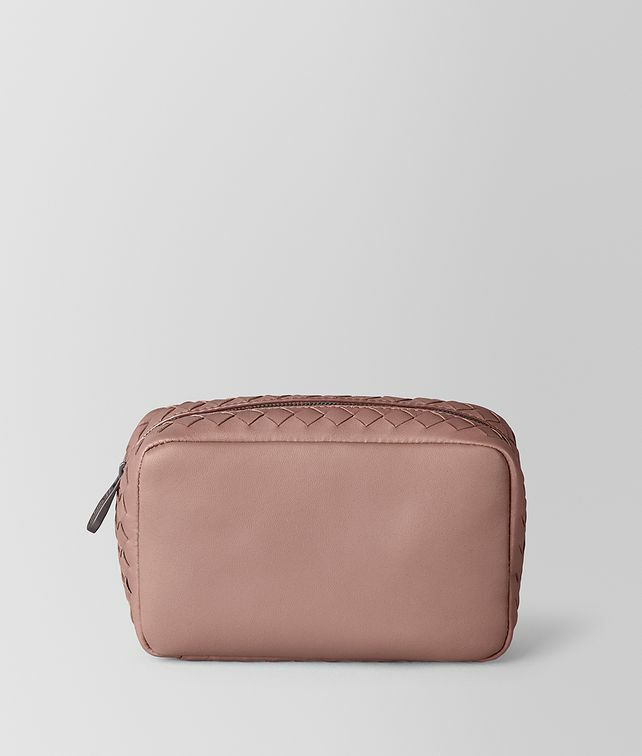 The versatile cosmetics case is beautifully crafted from soft nappa leather. This style displays hand-woven side panels in Bottega Veneta’s signature intrecciato weave and touches of engraved hardware in a dark-gold finish. It features a secure zipper closure and front pocket. Hardware: Dark-gold Height: 10 cm | 3.9""
Width: 16 cm | 6.3""
Depth: 5.5 cm | 2.2""